A set of freshly-painted murals along the walls of an intermediate school in Williamsburg are hoping to inspire people, especially youth, into thinking more about climate change and other global issues. The large, decorative murals are on display at I.S. 318, located at 101 Walton St., and include a depiction of a child and jaguar in unison, and of a tower of animals meant to represent interdependency among living things. 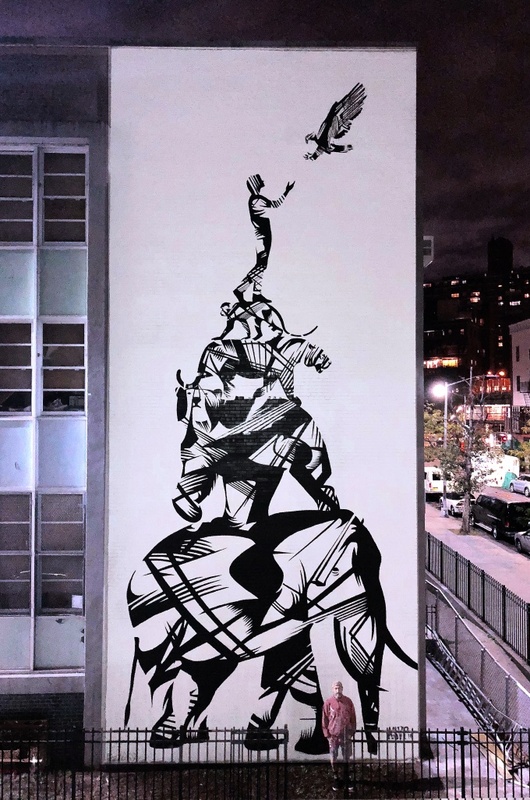 The murals are part of a multi-part arts production called “The Point”, a collaboration between five groups including Greenpoint Innovations, UNICEF, and Comics Uniting Nations, put on as part of Climate Week NYC 2018. The child and jaguar mural, measuring 32 feet by 25 feet and at the corner of Lorimer Street and Throop Avenue, is called “Kin”, and was painted by a prolific South African street artist that goes by Sonny. The child is a Yawanawa girl from Acre, Brazil, while the jaguar represents a species both sacred to the indigenous peoples’ and under risk. The tribe, along with Greenpoint Innovations, has worked to reforest the Amazon and protect the jaguars there. 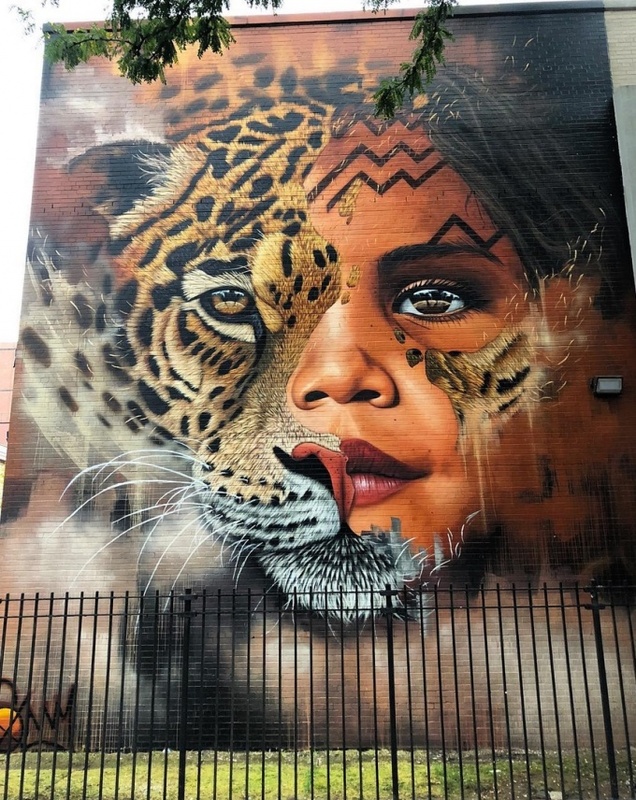 “The image that I painted is of a little girl from the tribe and a jaguar—they both manage to live together in the same environment in harmony, and they’re both looking through the same eyes,” Sonny told the Greenpoint Post. He hopes the efforts of the Yawanawa people in protecting their homeland can start conversations elsewhere on conservation and climate change. “We thought the school would be a great place to start—at the youth,” he said. The graphic, black and white tower made up of an elephant, bear, tiger and more, meanwhile, was painted on an opposite wall by ASVP, a Brooklyn-based artist duo founded in 2009. “The basic idea is that we’re all part of the ecosystem called Earth, where all of us rely on each other in the end,” ASVP said about their mural, measuring about 55 feet in height and 25 feet across. The animals in the mural are all threatened or endangered in some capacity, except for humans, located at the top of the pyramid. The message of interdependency and of human responsibility, however, remains. Greenpoint Innovations, the non-profit that works with companies to promote environmental sustainability via art and technology, said leveraging the arts is especially useful in communicating a grand message across the globe. “Our goal is to recognize and act on the human impacts of climate change and the power and role of all people, particularly the youth, to take action for a better future,” the group said of “The Point” project. 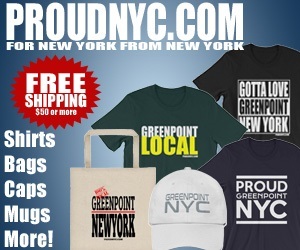 Stephen Donofrio, founder of Greenpoint Innovations, said I.S. 318 as a location for the murals was brought forth “serendipitously” by Town Square BK, a local non-profit, that knew of the school’s wishes to beautify its outside. The Title 1 public school, additionally, made sense for the siting given the inspiration behind “The Point”—a youth-oriented comic book of a climate change superhero that won a UNICEF award. “Working with a Title 1 public intermediate school seemed like a perfect opportunity to connect the dots between local Brooklyn youth and global youth,” Donofrio said in an e-mail. While the murals were finished yesterday after about a week of painting, the approval process took several months and included conversations with the DOE, local groups, and elected officials. 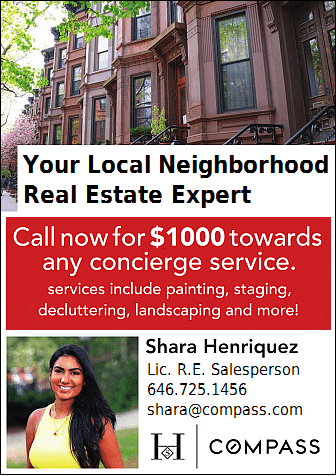 “To get this kind of work done on a public school—its not that easy,” said Anna Corinna, I.S. 318’s PTA president. Corinna, one of the main forces behind the school’s beautification efforts, beamed with pride while talking about the murals, noting that they’re like a gift considering the struggle public schools face in funding and other areas. Students and staff, she added, are buzzing with excitement over the project. “We’re such a beautiful school on the inside, but I want to show how we are on the outside,” she said. 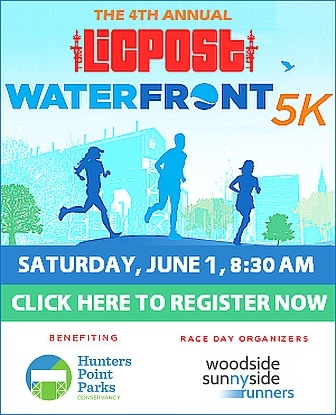 For more information on “The Point”, including other arts productions as part of the project, visit Greenpoint Innovation’s project page. The conversation is that climate change was originally called global warming. It changed (pun intended) because the earth is actually cooling. It’s due to the lack of sunspot activity. This is not to say we should abandon renewable sustainable energy because we most absolutely should be independent. Its just that the technology is not there yet. Its too expensive. The best is, surprised to say, nuclear… but the reactor needs to be deep in a mountain with water basins not rivers that are near people.